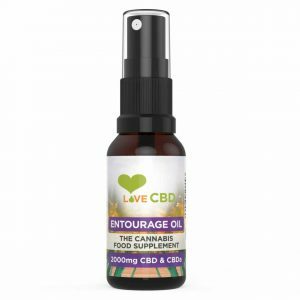 Using CBD Entourage oil spray is one of the most effective ways to consume CBD. By spraying under the tongue, the CBD is absorbed quickly and effectively, giving you some of the best results. This remarkable CBD spray includes some of the other components from the medical marijuana plant making it highly effective. 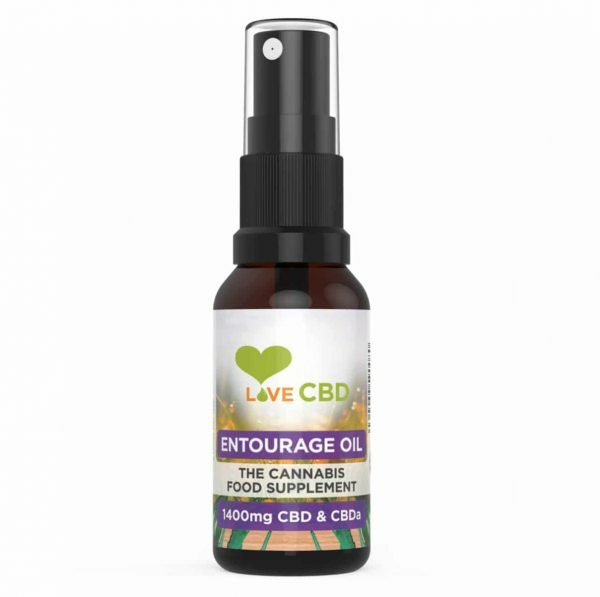 Our fantastic CBD Entourage oil spray is a great way to get the best results from CBD for you. It uses a mixture of different cannabis strains and combines them with some of the other natural components in the plant to make the CBD as effective as possible. The CBD Entourage oil spray can be taken as a food supplement for a specific reason or to help with your overall good health. We recommend that you take 1 spray of CBD Entourage oil, 3-4 times a day, preferably with food. We try to keep our CBD products as natural as possible and that`s why the only ingredients are cannabis extract and olive oil – all natural and no chemicals. We don`t allow chemicals or other pesticides or herbicides on our farms, and our CBD products are vegan and lactose friendly. The CBD is extracted using the CO2 method – which is considered to be the safest method and doesn`t involve the use of chemicals.